Do you like stuffed mushrooms? What are your favorite go to sweets? Who wants to eat this pizza with me? Do you like fettuccine Alfredo? If you drink, what drink do you usually order? What was in this girls drink? I actually hate mushrooms. They taste like sweaty armpits XD haha! I've never had stuffed mushrooms. They look good though. I hate mushrooms with a passion. No fungus on my plate. Look amazing. I don't eat that much though. 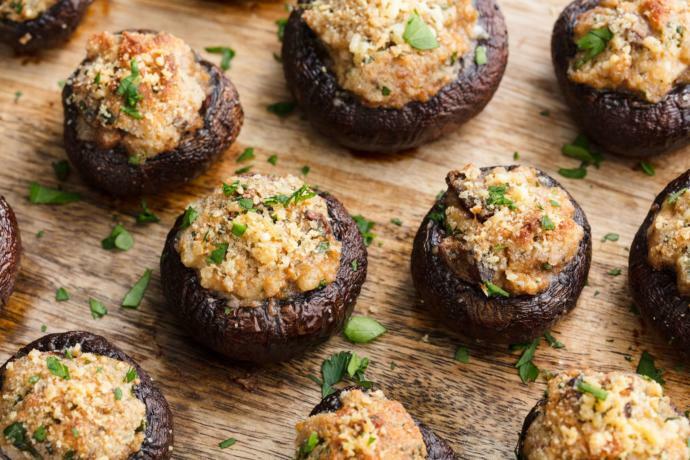 Home > Food & Beverage > Do you like stuffed mushrooms?